Scarcity looms as IPMAN threatens showdown with NNPC in Lagos – Royal Times of Nigeria. Independent petroleum marketers in Lagos state have threatened to withdraw their services from Dec. 11 over NNPC’s breach of bulk purchase agreement to sell fuel to them at N133.28k per litre. The Independent Petroleum Marketers Association of Nigeria (IPMAN), Lagos state chapter, on Wednesday said it was set for a showdown with NNPC over irregular fuel supply at Ejigbo satellite depot. 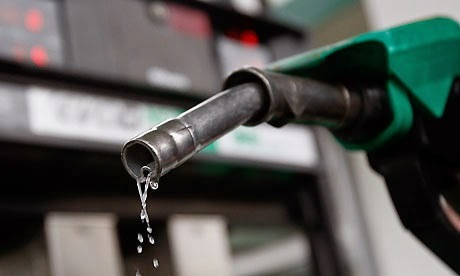 The association said its members had been running their fuel stations at a loss in the last eight months due to NNPC’s default in the bulk purchase agreement it signed with IPMAN to sell fuel to its members at N133.28k per litre. The association said in statement signed by its state Chairman, Alhaji Alanamu Balogun, Vice Chairman, Mr Gbenga Ilupeju and the Secretary, Mr Kunle Oyenuga. ““While the NNPC had refused to sell fuel to its members regularly, the corporation is diverting the supplies to DAPMAN at a price of N117 per litre. IPMAN, therefore, called on President Muhammadu Buhari, the National Assembly, the Minister of Petroleum Resources, the Lagos State Governor and the security agencies to address the issue. ““If not, IPMAN members will withdraw their services and shut down all their stations in Lagos State. The association said its members were in business for profit, using bank loans and would rather stop sales of fuel than to run into bank debts or at a loss. It noted that over 900 fuel stations were attached to Ejigbo satellite depot alone.